Home Stable Management Horsekeeping Stolen Horse! Each year, about 55,000 horses are stolen by bands of thieves who often work one area or state. Experts say the actions you take in the first 24 to 48 hours are crucial if you hope to recover your stolen animal. Robin Lohnes, executive director of the American Horse Protection Association, and Amelita F. Donald, president and founder of International Equine Recovery Net, have the vital information you need to help in the event your horse goes missing. Act Swiftly. “In a missing livestock incident, the more time that goes by after the first 24 hours, the less likely your chances are of ever seeing that animal again,” says Donald. Part of knowing how quickly to move is knowing what to do beforehand. You should have documents, photographs and contact numbers up-to-date and readily available. Escaped, Stolen or Mixed Up? 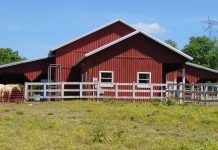 Evidence of theft includes forced entry, fresh tire tracks, cut or broken fencing, missing halters or tack, open barn doors or gates, illuminated lights, missing trailers, or anything unusual in the barn or on the grounds. 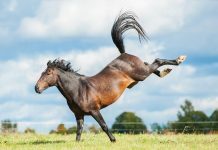 If your horse has escaped on its own, you may see bite, scrape or kick marks on its stall door, or spilled feed or grain. Work With the Law. Report the theft immediately to local authorities such as the city police or the sheriff’s department. Insist that authorities take a case report, even if only over the phone, including a description of your horse, noting any brands, freezemarks, scars or other markings. You may need the report later for insurance purposes, court cases, or to document to other agencies that a theft transpired. Also, get out your bill of sale, veterinary records, breed registration papers, other documentation and color photographs that will help identify your horse. Distribute Flyers. Create flyers containing a clear photo and a description of your horse, and your day and evening phone numbers. Fax, express mail or hand deliver your flyers to slaughterhouses, rendering facilities, livestock sales and auctions, racetrack and rodeo managers, and middleman horse traders within a 500- to 600-mile radius. Also send flyers to the State Department of Agriculture (Division of Animal Services), the state veterinarian, state cattleman’s association, breed association, state horse council, equine veterinarians, neighbors, and local farm or area equine newsletters. Post flyers at your local feed store and tack shop as well. Call Slaughterhouses. “Check in daily with the foreman,” advises Donald, although she warns that a slaughter facility is more apt to look for an animal that carries identification. “If it has no identification, there is no way you can prove that any horse is your horse,” she says. Advertise. Place ads in local or regional equine papers. Sometimes leads may turn up. Seek Professional Assistance. The International Equine Recovery Net (IERN) can spring into action as soon as they verify that a police or sheriff’s report was made. Locating Your Horse. If you find your horse, inconspicuously keep it under surveillance, as the situation could be dangerous. Summon law enforcement authorities right away, and let them take care of the recovery. Finally found an address on a different internet sit, but still have yet to find IERN website. Very good information, hopefully I will never need it. I can’t believe people would steal these beautiful creatures like they do!!!!! Thankyou Thankyou Thankyou Thankyou THANKYOU!!!!! If my horse is ever stolen I WILL get him back. With common sense and your advice many people may actually get there horses back!!!! Sure hope it never happens at my place. Great tips! Thank you! I hope I never have to use them though! Better to be safe then sorry! In our situation someone stole my daughter’s horse from the home of a family member and we have no idea how to get him back. What happened is the family member sold her horse without our knowledge nor consent. Can anyone help my daughter get her therapy horse back? Thank you for the wonderful tips! I will share thee with my barn mates! this is a great article. it’s nice to have something to refer to in a very difficult time. Great article! 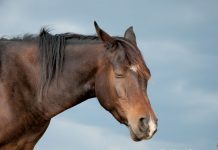 Get more help and info with the organization on the internet that works with stolen horses and related issues every day of the year, Stolen Horse International aka NetPosse.com, a 501(c)(3)nonprofit organization. You will find more tips, stolen and missing horse listings, recovery network, NetPosse volunteers, equine identification self help tips and products, stories and news and much more. http://www.netposse.com. Look us up on Facebook too.